Are you sad that Canada Day celebrations are behind us? Well, with IndigoSky at Saddleridge’s Canada Day offer you can celebrate a little bit longer. For the month of July 2012, IndigoSky at Saddleridge by the Carlisle Group is offering a $2000 referral fee for selected units. To take advantage of the offer, all you have to do is register a friend or family member with IndigoSky at Saddleridge‘s sales office. If that friend or family member purchases a select unit during the month of July, then IndigoSky at Saddleridge will pay you $2000 when the purchase is closed. And, it won’t be hard to pique your friend or family member’s interest in this project. IndigoSky at Saddleridge is conveniently located walking distance from Saddleridge Town Centre and the future Saddleridge LRT station. Not only that, but this development provides all the little comforts that make a house feel like a home, including heated underground parking lots and extensively landscaped grounds. So, what are you waiting for? Grab your friends and get them to register for the Canada Day offer! 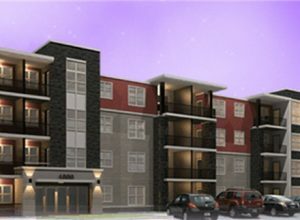 If you want to learn more about this project call 403-228-5872, email indigosky@carlislegroup.ca or visit their website.